The Strange Affair of October 24th, 1859: When a flurry of forgeries appear in museums and among collectors, the members of the Agora, a society dedicated to the betterment of man, take it upon themselves to stop the rogues. But among the members, there is a traitor. Among the forgers, there is a murderer. As friends betray their own and souls are sentenced to death, suspicions and tensions mount. Only one man, Carl Brooke, has the knowledge and expertise to stop the murderer. But will he succeed? Or will the night of October 24th, 1859 forever remain an unresolved mystery? 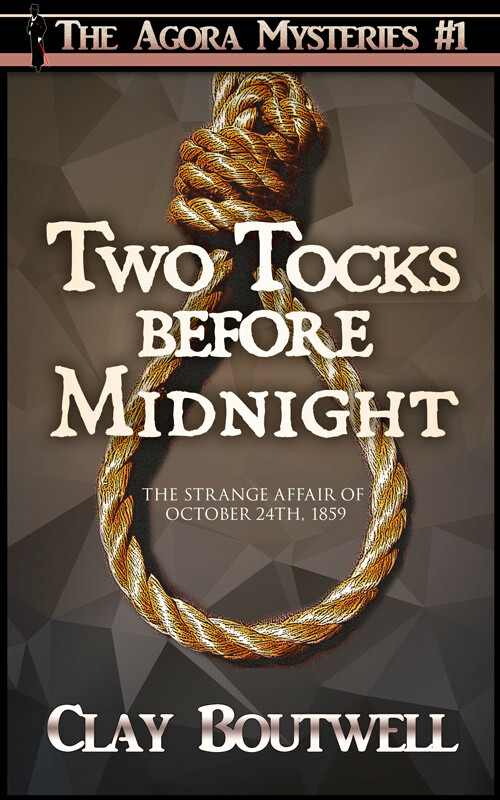 If you like Sir Arthur Conan Doyle’s Sherlock Holmes books or stories set in the 19th century and with a touch of mystery, you will love Two Tocks before Midnight. 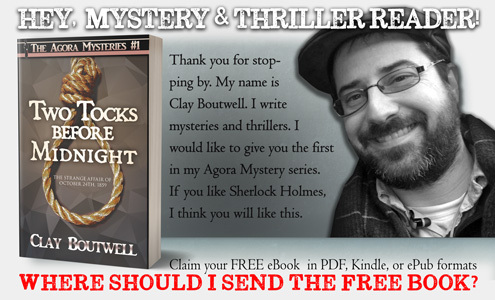 This is the first in the Agora mystery series. Carl Brooke and the Agora society’s crime-solving escapades continue with additional stories. If you would like to read them all, please search for “The Agora Letters” for five stories for the price of three.